Honey – What are the Benefits? For centuries, people have enjoyed honey. The first use of honey by man is unknown, as its use predates the earliest known written records. Fossils of honeycomb have been found going back millions of years, prior to the existence of man on the earth. The earliest mention of beekeeping was found in a temple near Cairo dating back to around the year 2400 BCE. Bees were frequently featured in hieroglyphics and were associated with royalty. The ancient Egyptians used honey as a sweetener, a gift to their gods and as an ingredient in their embalming process. Honey cakes were baked as a gift to satisfy the gods. The Greeks also would use honey cakes in their worship of false gods. The bee was the symbol of the pagan Greek god, Artemis. The Greeks viewed honey not only as a source of food but as an important healing medicine. Greeks used honey in recipes to make cakes, sweetmeats and even mixed it with cheese to make cheesecakes. The Romans too used honey extensively in cooking and as a gift to their gods. Beekeeping was popular throughout the Roman empire. Honey and beeswax became in great demand with the introduction of Christendom and the amount of candles used in worship. Honey continued to be an important part of the European diet until the Renaissance, when sugar began to be introduced and become more popular. By the seventeenth century, sugar was used more frequently than honey. The results of this shift in the popularity of sugar versus honey are all too often seen today. We face an epidemic of chronic illness, obesity and general decay. Refined sugar has been compared to crack cocaine in terms of its addictive properties. For the body to process sugar, large amounts of vitamins and minerals are needed, leaving the body even more malnourished, as sugar does not provide any nutrients to begin with. Honey, on the other hand, has many nourishing and healing properties. Honey is made up of glucose and fructose (monosaccharides) and contains minerals such as iron, calcium, phosphate, potassium and magnesium. Honey has a slightly acidic pH (between 3.2 and 4.5) which helps prevent the growth of bacteria; it also has antioxidant constituents which help clean up free radicals. Honey was often used medicinally on wounds in ancient times; many around the world still use this practice today. In studies, honey has been shown to be beneficial at treating everything from GERD (reflux) to fighting infections to helping to reduce allergy symptoms. Certain types of honey, like Manuka honey, have been shown to have healing benefits of their own (Manuka honey is honey produced in New Zealand or southeastern Australia from the nectar of the manuka or tea tree). Other benefits of honey? Some studies indicate that honey may improve blood sugar control and insulin sensitivity compared to other sweeteners (especially highly-processed ones). Honey can help to improve HDL cholesterol (the “good” cholesterol). Interestingly, raw honey actually predigests starches for you. It contains several enzymes that begin to break down complex starches even prior to you putting the food in your mouth, making it ultimately easier to digest for you! If you buy your honey from your local “Super” center, it can be difficult to impossible to find a source of raw honey. Why do you want raw honey? Because all of the above benefits only apply to raw honey. When honey is heated and processed, like is often done with commercially-prepared honey, the enzymes are destroyed, the healing benefits are removed, and additives like high fructose corn syrup are added to increase shelf life and keep the honey from crystallizing. Supermarket honey is not healthy for you: actually, it can feed the pathogens in your body, such as Candida (yeast overgrowth). Raw honey means that the honey has not been heated over 116 degrees Fahrenheit. As the FDA does not regulate this, the only way to know if your honey is actually raw is to talk to the producer. Raw honey will usually start to crystallize after a few months and become more solid. There is research that shows that local honey can actually help you to have less trouble with seasonal allergies. 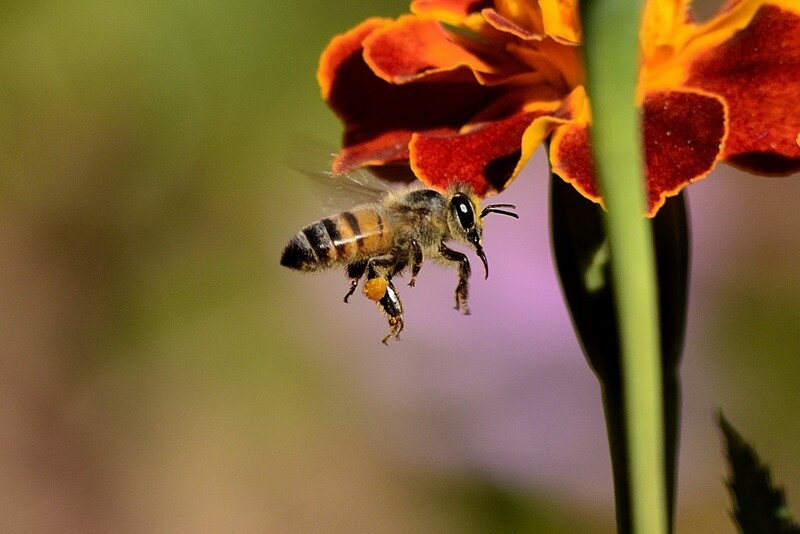 In a nutshell, the reasoning is this: the bees are processing the same pollen that makes you sneeze; when you consume the honey, you are consuming the processed pollen, which inoculates your system against the allergens. Take 1 tablespoon of raw honey daily made within 100 miles of your home for the best results. Also, buying local honey allows to talk to the actual beekeeper who harvested it. You can find out more about how it was made and processed, were there any additives added, etc. Our family has been buying honey locally from the same beekeeper for almost 30 years, even before we really understood the benefits of local unprocessed honey. 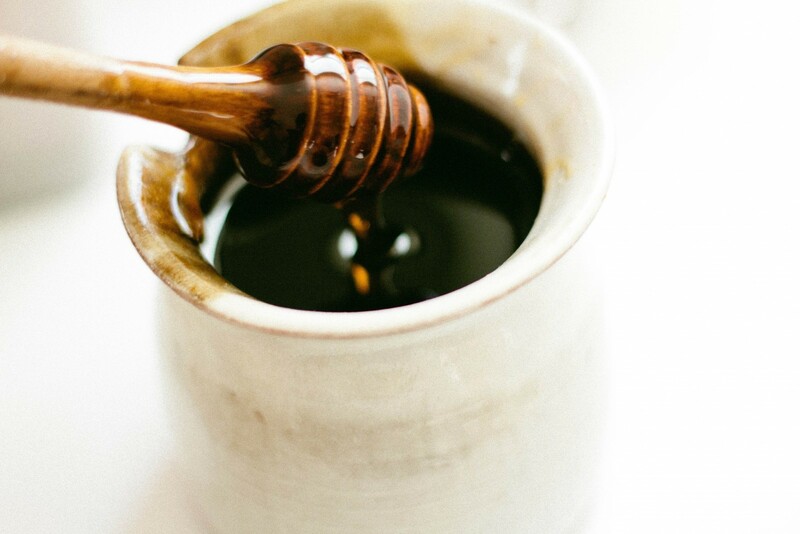 Raw honey is more than just a sweet treat; it is not just an “alternative” to refined sugar, but possesses many healing properties, making it an essential part of your home’s natural medicine cabinet.